Creative, decorative and beautiful vector artwork inspired by music and dance. 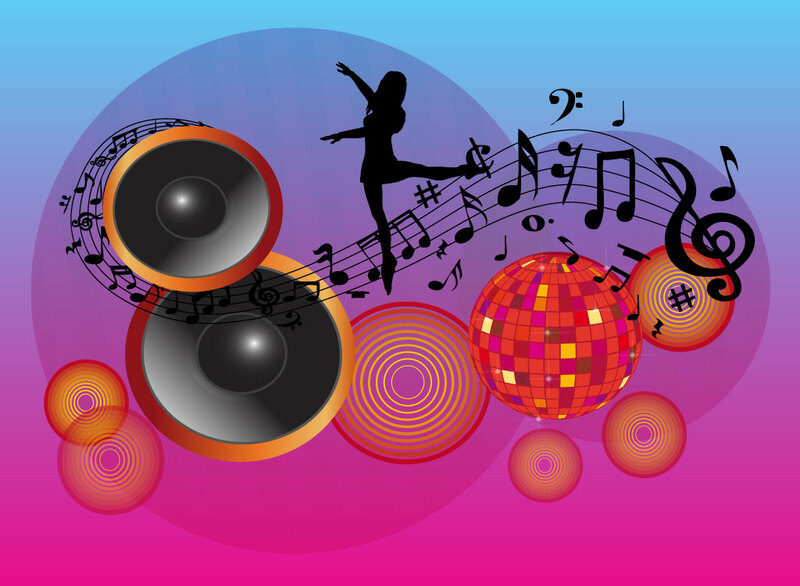 This lovely collage features speakers, disco ball, retro circles, dancer silhouette and a scrolling music staff with notation tumbling across. Free download for music lover desktop wallpapers and event promotional posters. Tags: Ballet, Club, Flyer, Girl, Notes, Party, Performance, Speakers, Woman.